We’ve done something for the guys, so how about a special cake for the girls? 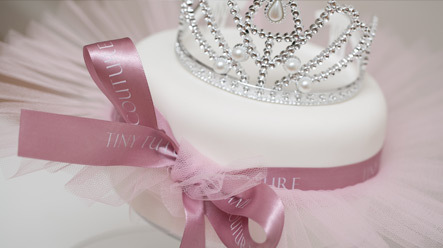 If you are hosting a ballerina/princess/girly party for your little girl (or hey, maybe it is for your kitchen tea!) you could take a leaf out of the amazing book by Tiny Tutu Cake Couture and garnish your fabulous baked goods with tulle tutus! Bake yourself a scrumptious vanilla cupcake and adorn it with icing covered in caches edible beads. Affix pink tulle circles around the base of the cupcake to create the tutu effect and you can even adorn your masterpiece with your very own tiara or wand. If you can make it out of sugar, good for you, but if not you can always pick up these little treats at the Tiny Tutu Cake store!